In the Pearls, we discussed President Trump's proposed budget. The big winners under this budget were the Departments of Defense and Homeland Security, as well as Veteran's Affairs. The biggest loser was the Environmental Protection Agency, as well as nineteen other agencies that Trump proposed elimination. Beth argued that this budget shows diplomacy is not a priority for President Trump as it also includes cuts to the State Department and reductions in foreign aid. Inexplicably, healthcare companies such as drug makers and device makers will pay more than twice as much in 2018 to have their medical products reviewed for approval by the Food and Drug Administration under the proposed budget. The proposal budgets over $2 billion in fees to be collected from industry, twice as much in 2017. This doesn't seem to fit the increasingly loud narrative of reducing health care costs. We then moved on to compliment the other side. Sarah had big praise two Texas Congressmen who hit the road for a bipartisan road trip. Beth praised Representative Rodney Moore for his eloquent advocacy for charter schools. In the Suit, we discussed the fiery response on social media to Sarah's photo of a local church bulletin board featuring the viral photo of Omran Daqneesh, a 5-year-old Syrian child. The caption seems to imply all the little boy needs is Christianity in his life and this position left many of you angry and seemed to reflect a growing disenchantment with religion itself. We discussed our own frustrations and history with organized religion and what those ideas can (and cannot) mean when it comes to politics. Do Americans suffer from an empathy deficit? What does it mean to be empathetic? 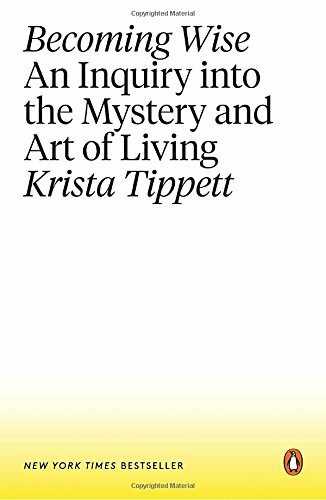 Sarah had high praise for Krista Tippet's expanded audio edition of Becoming Wise, which addresses the interplay between spirituality, religion, and politics incredibly well. Beth discussed a wonderful Washington Post article that illustrated the difference in approach between empathy and entitlement in immigrants versus natural-born citizens. She also shared Anne Lamott's recent Facebook reflection. As well as one of her favorite lines from The Invitation by Oriah Mountain dreamer which states simply, "I want to know if you can sit with pain, mine or your own, without moving to hide it, or fade it, or fix it." We ended the show in The Heels by lightening things up a bit with talk of real estate and Designated Survivor.